Super talented rapper, A-Q is not chilling this year as he dishes out another massive rap jam, this time he’s not alone. 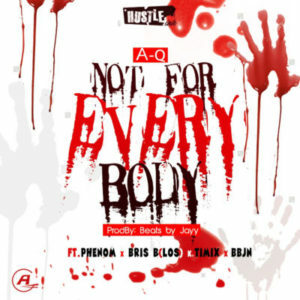 The track titled, “Not for everybody” features some of the baddest rap heads, Phenom, Bris B of LOS, Timix and who also dropped that beat for the track. Grab your head phones and cop this one.